Set connected devices to turn on/off as needed, conserving energy and helping you save on your electricity bill. Remote and Voice control your home devices,allow to set schedules and monitor energy whenever,wherever. 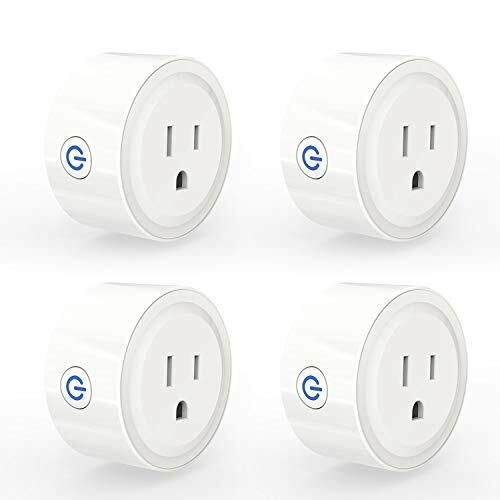 When paired with Amazon Alexa or Google home, the mini smart plug gives you hands-free voice control over your devices. Turn your lights, appliances, or an entire room on or off using just your voice. Smart Plug fits into any electrical outlet without blocking other sockets. Allow to stack an additional plug in another device in the same outlet. 1.Scan the QR code on the User Manual to download “TuyaSmart” App from App store or Google play, then add the plug to the App. 2. Hold the device Reset Button until it starts blinking. 3. In the app, Add Device, to detect your new Plug. 4. Connect to your Wifi. 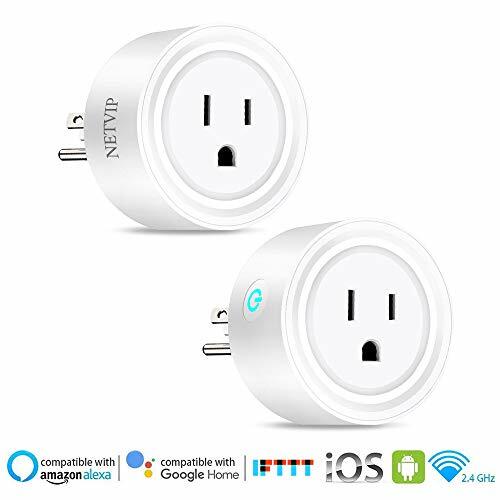 · [Smart & Simple Voice Control]— This smart plug is perfectly compatible with Amazon Alexa and Google Assistant. Leave your hands free and avoid climb up and down to close your lamps, window Air conditioners or ceiling fans etc. 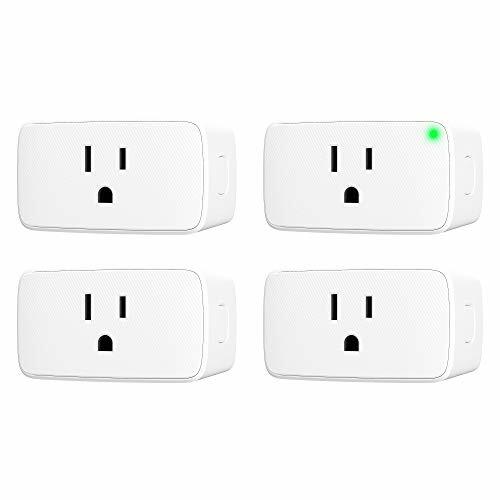 · [ Solid App remote Control ]—This smart wifi plug also empowers you to remote control your lights and other devices from your smartphone or tablet via free Smart Life or Tuya Smart app. Only needs Wi-Fi. No hub or subscription required. · [Various timer Possibilities]— Schedule a prepared and comfort home for you and your families anytime & anywhere. Never come home to a dark house. Keep your house comfortable by scheduling a fan or mechanical controlled window air conditioner. Sync lights and devices to sunrise, sunset, or Pre-Set timers automatically. Protect your home and family like you are there. · [Solid made and Easy to Use ]—Need just 60 seconds or less, even for . 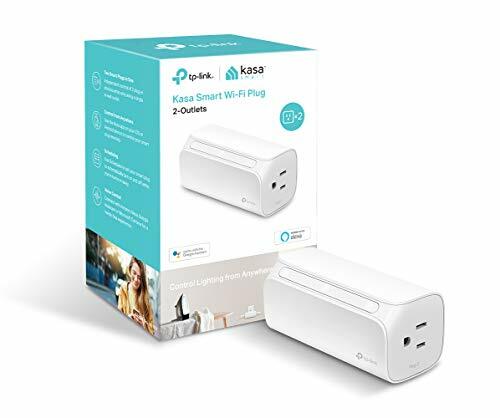 Attach into your wall outlet and download free Smart Life or Tuya app to your phone or tablet, then just pair the smart plug and your phone, no hub or subscription required. Start smart life with one simple step. 30 days money back and 1-year warranty. Buy with confidence. · [Safe Guaranteed & Quality Certificated]— Solid / Smart / Safe — The three principles represent the stones of our brand 3 Stone] . We are so confident about our product so we provide lifetime warranty to all our customers. More over, 30 days No-Reason Money Back Guarantee also available. Also this product has been certified by ETL.